This week’s featured property of the week is an oceanfront duplex with awesome views and tropical décor that will instantly transport you to a state of relaxation you’ve never felt before. Changing Tides East, located on Ocean Drive, is a three bedroom, three bathroom haven with plenty of space for the whole family. You’ll find three queen-size beds, one double bed, one single bed and a queen-size sleeper sofa. This rental offers Island Club linen service, which includes all your linens, towels, sundries (toothpaste, bath soap, shampoo, lotion and gourmet coffee) and custom tote bag. 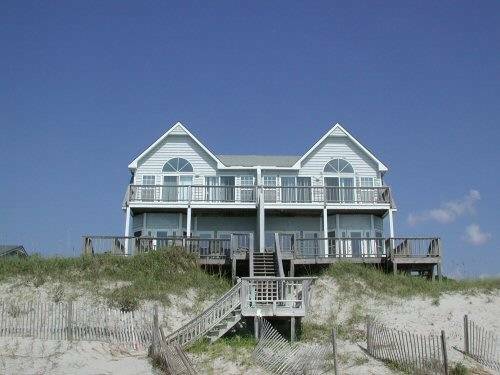 This rental features an open concept layout, featuring a large living room, dining area and fully-equipped kitchen – all beautifully decorated with comfortable and stylish furnishings and ocean views. There’s also a bonus room, multiple decks, covered porch, porch furniture, gas grill and outside hot/cold shower. Additional amenities include four cable TVs, two DVD players and stereo with CD player. 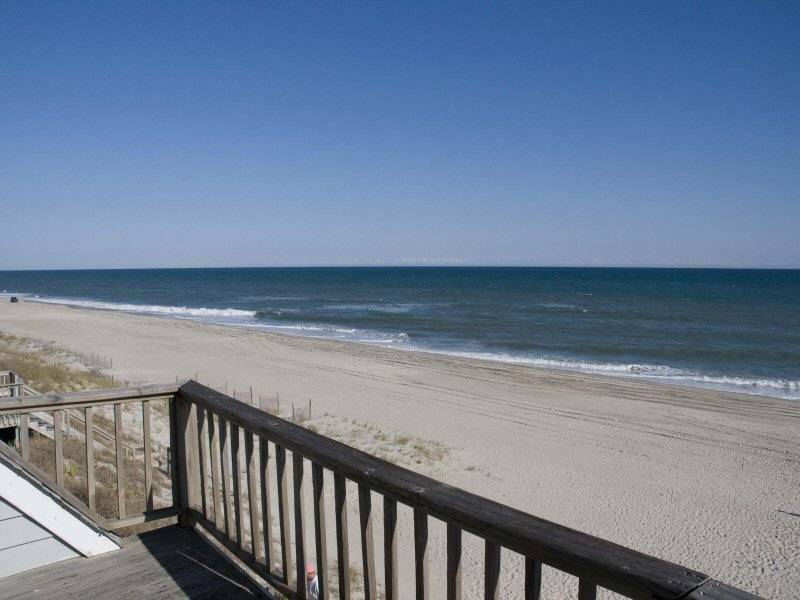 Enjoy the ocean views from inside your rental or up close and personal! If you’re looking to lounge on the beach all you have to do is walk right outside and your just seconds from the sparkling emerald waters. Just walk down your private boardwalk and you’re there! You can’t go wrong with Changing Tides East. View more photos of the property here. For booking information visit www.EmeraldIsleRealty.com or call (866) 586-6980!